Sinclair Pharma PLC announces a new consensus review on Silhouette InstaLift®, a minimally invasive procedure to lift the midface, published in the June 2018 issue of Journal of Drugs in Dermatology (JDD), which expands on leading practices for generating ideal patient outcomes with absorbable suture suspension. After receiving 510(k) clearance from the FDA in 2015, Silhouette InstaLift became the only available non-surgical technique with a dual mechanism of action cleared for repositioning of facial tissue. With its dual mechanisms of action, the absorbable suspension suture, Silhouette InstaLift, delivers an immediate lift followed by an ongoing volumizing effect that improves over time. Prior to this, the primary tool to address volume loss and skin laxity was a surgical facelift or placement of a permanent suture that required more invasive techniques. Fillers can be used to restore volume, but are not designed to reposition tissue, creating a void of non-invasive options to address sagging facial skin. Silhouette InstaLift is uniquely designed to allow tissue repositioning of the mid-face and facial recontouring. Silhouette InstaLift also provides revolumizing due to the use of PLGA as the material for both the sutures and the cones. Recovery time following suture placement is minimal, and results are long lasting. Silhouette InstaLift is indicated for use in mid-face suspension surgery to temporarily fixate the cheek sub-dermis in an elevated position. Silhouette InstaLift is a minimally-invasive, resorbable suspension suture with bi- directional cones. The sutures lift and reposition subdermal tissue while the bi- directional cones hold the suture and facial skin in an elevated position. 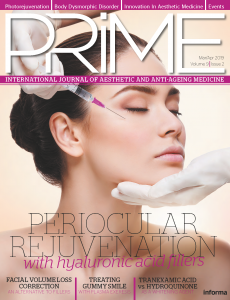 The suture and cone material are both made of glycolide / L-lactide (PLGA) and over time they stimulate fibroblasts for gradual collagen maturation and are designed to reposition volume in the mid-face with a goal of a natural-looking result.